Snapology has just been named a Top Franchise of 2018 by Franchise Business Review as well as a Top New Franchise by Entrepreneur. This amazing recognitions are hurling Snapology into the spotlight. This Pittsburgh-based startup that was founded by sisters Lisa and Laura Coe is now evolving into a nationally recognized company that mixes learning with pleasure: and it’s all for the benefit of kids! If you’ve been considering buying a franchise but have been about which one, you can find success with Snapology. This interactive, exploratory kids franchise offers amazing opportunities for fun in science and S.T.E.M (as well as S.T.E.A.M initiatives), and now it is a top rated franchise of 2018. Find out more about Snapology’s business ventures at https://www.snapology.com/franchise. As of February 19, 2018, Snapology has been named a top franchise by Franchise Business Review and a top new franchise by Entrepreneur. Thanks to the amazing work they do with kids, they are now being recognized across the country. Snapology is the premier provider of S.T.E.A.M. programs for children ages 2-14. Some of these programs include hands-on-learning activities with LEGO®s, year-round educational facilities, and even classes brought to schools or to your home. So our work has caught your eye? We are one of the few companies to do what we do. Helping kids learn S.T.E.A.M concepts in a fun manner that completely disguises difficult concepts through more simple and engaging ways is what makes Snapology thrive. It offers a wide array of activities for children that include workshops, camps, playdates, birthday parties, and field trips. All of the events that Snapology plans encourages kids to combine play with education. If you are around kids a lot, you’ll know that when they’re playing, they won’t even realize how much they are truly learning! Some of the tools that are used by Snapology are LEGO® bricks, K'Nex® creative building toys, and computers for further educational programs. What Makes Snapology a Top Franchiser? The two new awards from Franchise Business Review and Entrepreneur! Franchise Business Review, a franchise market research firm that performs independent surveys of franchisee satisfaction, is proud to provide rankings for franchise companies based solely on actual franchisee satisfaction and performance. When publishing its rankings of the top 200 franchises in its annual Guide to Today’s Top Franchises, it acknowledged Snapology for its potential and its impact. Snapology was among 307 franchise brands, representing over 28,000 franchise owners, that participated in Franchise Business Review’s research. Franchise Business Review determined the company’s success as a franchise by surveying its franchisees on 33 benchmark questions about their experience and satisfaction regarding critical areas of their franchise systems. These including all categories ranging from training & support, operations, franchisor/franchisee relations, to financial opportunity. What Are Benefits of Starting A Snap Franchise v. Other Companies? To be a part of one of the top franchise companies of the year takes dedication to the wonderful cause but not much more than that! There are plenty of benefits to starting a relationship with Snapology. Some of these include low start-up costs, low overhead, flexible hours, affordability, regional flexibility, and plenty of support and access to useful tools and advice. Where Can I Find Snapology Franchises? For more Snapology franchise locations, click here. “Snapology is thrilled to receive this award for the second consecutive year. 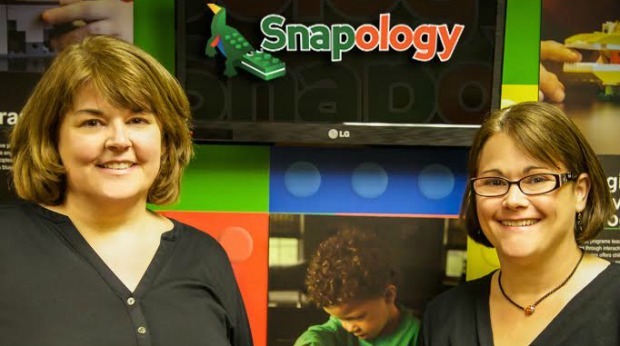 We are very proud of the level of commitment and support we provide to each and every Snapology franchise owner”, says Laura Coe, Snapology’s Founder and President. Now that the company has reached this important milestone, they hope to grow their success with other promising franchise owners. The more they can spread their business equals more kids who can benefit from S.T.E.A.M focused learning. Think you might be interested? Check out the potential of owning a Snapology franchise in your area yourself!